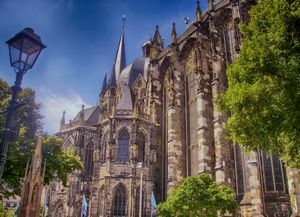 The 18th Biennial European Conference for Research on Learning and Instruction (EARLI 2019) will be hosted by the RWTH Aachen University from August 12th until August 16th 2019. The theme of the conference is Thinking Tomorrow’s Education: Learning from the past, in the present, and for the future. In times of constant changes, the future is a moving target – difficult to predict and prepare for. Yet, education is doing just that. At the 18th Biennial EARLI Conference and the accompanying 23rd Conference of the Junior Researchers of EARLI, researchers in learning and instruction from all over the world come together to discuss current research findings. In order to think tomorrow’s education and education research, it is crucial to relate new findings to what we already know and to elaborate how this will help foster sustainable learning processes and navigating what is yet to come. All information about the upcoming EARLI 2019 conference can be found at https://www.earli.org/earli2019.